I jumped on the Grey’s Anatomy bandwagon about 6 years late. Right now I’m working my way through Season 4 online and watching the new Season 7 episodes as they are broadcast. I’m a big fan of the show. Really, to be honest, I’m nursing a bit of a Grey’s Anatomy addiction. That said, this week’s faux documentary episode just didn’t work for me. On a superficial level, I didn’t like it stylistically. The fast cuts, large depth of field, numerous onscreen titles, and shaky camera combined to create a rushed, jangling experience. 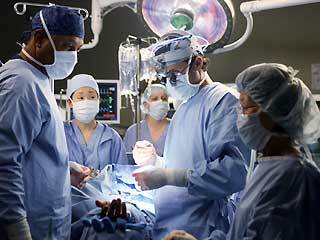 It was like watching Grey’s Anatomy through the eyes of my Border Collie. But more importantly, it also represented a huge leap backwards in terms of the viewer’s level of intimacy with the characters. As a documentary filmmaker, I feel slightly sheepish admitting this. As a documentary filmmaker who is also an aspiring screenwriter, it gives me some interesting things to think about. In a documentary, real or feigned, we see what the characters, camera operator, and editor allow us to see. In a narrative, we see what the editor, camera operator, and writer allow us to see. I’m oversimplifying, of course. It takes a village to make a movie, and I don’t mean to in any way diminish the efforts of the many, many people whose positions I have not listed here. The point is: in documentaries, the characters have a degree of control over what we see of them. They can, and usually do, choose to keep us at some distance. In a traditional, third person point of view narrative, however, we become a fly on the wall, and we can see everything (or nearly everything) that’s going on. So, a ‘normal’ Grey’s Anatomy episode makes us feel like we know the characters in real life. (Or, that we are watching them through phenomenally well placed hidden cameras.) In truth, we actually know them much better than we know people in real life. We get in bed with them. We are in the bathroom stall with them while they’re taking a pregnancy test. We’re there in the supply closet while they’re having an emotional breakdown (and/or illicit tryst). Even when the characters are excluding their very best friends, we’re there; and we see them as they are, not as they would present themselves to us if they knew we were watching. By contrast, in a documentary, the characters usually do know that we’re watching, and we know that they know that we’re watching, and there are varying degrees of mutual suspicion on both sides of the camera. I shouldn’t go any further without pointing out something obvious: it’s all fake. The people we are being so intimate with don’t even exist. But if they did exist – if Grey’s Anatomy were a reenactment of real people’s real lives – I think there’s a convincing argument to be made that we can get a more authentic representation through an ethically produced, reenacted narrative docudrama than through a documentary that shows events as they happen. Ethically produced. That’s critical. Obviously, it’s entirely possible for a (village of) filmmaker(s) to create a ‘based on the true story’ narrative film that is nothing at all like the true story. And it’s equally possible for a documentary crew to create a “lying” documentary. (Sleazy political TV ads are a great example of this in miniature.) But, if we assume that a given set of narrative filmmakers and a given set of documentary filmmakers are equally committed to telling the truth, I think we have to consider that the narrative genre is sometimes better equipped to make an accurate representation. This is because, as anyone who has lived a remotely interesting life can attest, the truth is complex. It’s complex in space, and it’s complex in time. And, although I often find myself talking about what a great medium documentary film is for communicating multiple dimensions of a given subject, there is no way that a camera, or even a fleet of cameras, can capture the entire truth of any story as it unfolds. Of course, there’s also no way that a narrative crew can capture the entire truth of a story, either. Everything we make is a constructed representation, and no representation – documentary, narrative, or experimental – is perfect. That’s Filmmaking 101. But I think perhaps the reenacted docudrama can, under certain conditions, get closer to reality than the watch-as-it-happens documentary. Consider the film Hotel Rwanda. (If you haven’t seen it, stop reading this and go watch it NOW.) The real Paul Rusesabagina worked with the writers and the filmmakers to tell his story, and the result is a film that is visceral, emotionally gripping, and basically historically accurate. A film like Hotel Rwanda tells you a true story in a way that reflects not just the succession of events, not just the face that the character is comfortable presenting in the moment; but also the things going on inside the characters, the things that the characters only realized were relevant in hindsight, the things that the characters only become comfortable sharing after the passage of time, and the things that a cameraman (or group of cameramen) could not have captured without advance preparation. All that said, I still choose to be a documentary filmmaker. The main reason I work in documentary is because I want to help people (including myself) understand each other and the world around them. And I do think documentary is a great medium in which to do that. After all, all film is a construction, and it is a huge ethical responsibility to represent people to the world. Jay Ruby actually says that because of this, the only way to make an ethical documentary is to make one that is reflexive. (That is, a documentary that refers to itself as a construction of human filmmakers, rather than as an objective carbon copy of reality.) Unfortunately, calling attention to the constructed nature of the film doesn’t generally work with the traditional narrative style. (I’m having trouble thinking of any examples of reflexive narrative films. Leave me some suggestions in the Comments.) So, in that regard, documentary is better able to ethically represent reality, even if narrative has a higher capacity for accurately representing reality. Hmmm. There’s an interesting tension there, I think. All of this also calls to my mind the work of George Stoney. George Stoney is one of the rock stars of American documentary film and one of my personal heroes. Born in 1916 and still teaching at NYU today, Stoney began his filmmaking career making government documentaries in the 1940’s. 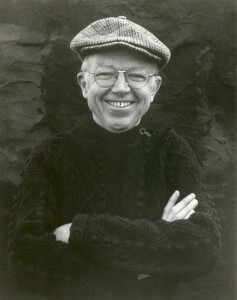 His style is one of cooperative filmmaking; and in many of his early films, including the famous All My Babies, Stoney asked the people who were the subjects of his films to perform their own lives. It’s a strategy that allows the filmmaker more control over the evolution of the story, while still allowing the characters to control the face they present to the world. Of course, this approach also takes the writing and acting out of the hands of people who have spent their lives honing the arts of writing and acting. 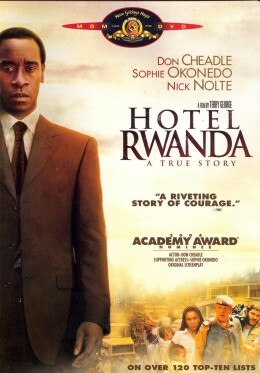 Would Paul Rusesabagina have played himself as well in Hotel Rwanda as Don Cheadle did? I don’t know. And that’s a whole other can of worms.